Ever wonder how Americans are getting to work? In this short video, Andrew Beveridge, Co-Founder and CEO of census data mapping program Social Explorer, discusses the demographics of American commuting patterns for workers ages sixteen and above. Using census survey data from the past five years, Social Explorer allows you to explore different categories of American demographics through time. Here, Beveridge walks viewers through the functionality of the “Transportation” category, revealing the hard truth of Americans’ car dependency, as well as the true scope of the bike-to-work trend gaining speed across college towns and urban areas. Want to see how your travel time stacks up to the rest of the population’s workers? 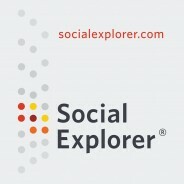 Use the “Travel Time to Work” category to explore other American commuting trends, or explore the various additional categories and surveys Social Explorer has to offer. Whether it is the speed, assumed efficiency and control, or the status-marker of the automobile that makes it so ubiquitous, the numbers don’t lie – for most Americans, “going green” may be only secondary to “catching green” (lights, that is). Andrew A. Beveridge, Ph.D., President and CEO of Social Explorer, is a Professor of Sociology at Queens College and the Graduate School and University Center of the City University of New York. Since 1993, Dr. Beveridge has been a consultant to the New York Times, which has published numerous news reports and maps based upon his analysis of Census data. He writes the demographic topic column for the Gotham Gazette. Also, he is working on several research projects involving urban and neighborhood change.